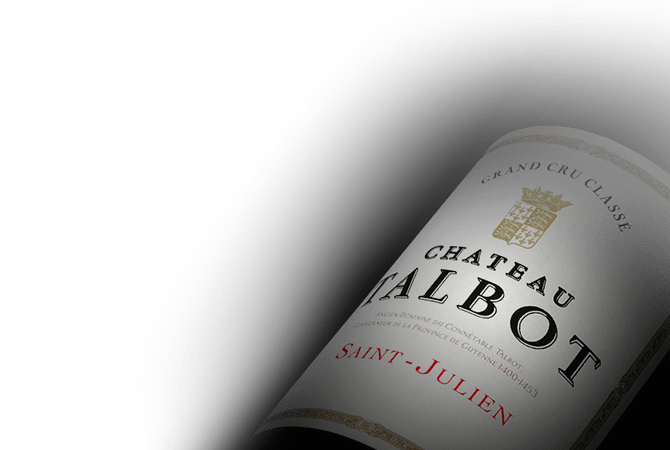 A prestigious Classified Growth of Saint-Julien, Château Talbot is one of the essential references of the wines of the Left Bank in the Bordeaux region. The estate oversees a unique vineyard, consisting of a 110-hectare single vineyard. Château Talbot enjoys an exceptional terroir due its Garonne gravel-alluvial soils and its close proximity to the Gironde estuary. Benefiting from the expertise of Nancy Bignon-Cordier, oenologist Éric Boissenot and consultant Stéphane Derenoncourt, the wines of Château Talbot are among the most famous Médoc vintages that are recognized for their consistent quality vintage after vintage. As classy, elegant wines, the style of Château Talbot has a generous bouquet that is expressive in its youth and then reveals great depth and complexity over the years. On the palate, these wines decisively display the typicity of the Saint-Julien appellation that is marked with structured, silky tannins. Château Talbot embodies the excellence of Médoc wines in a classic approach, and is far from the clichés of austerity.